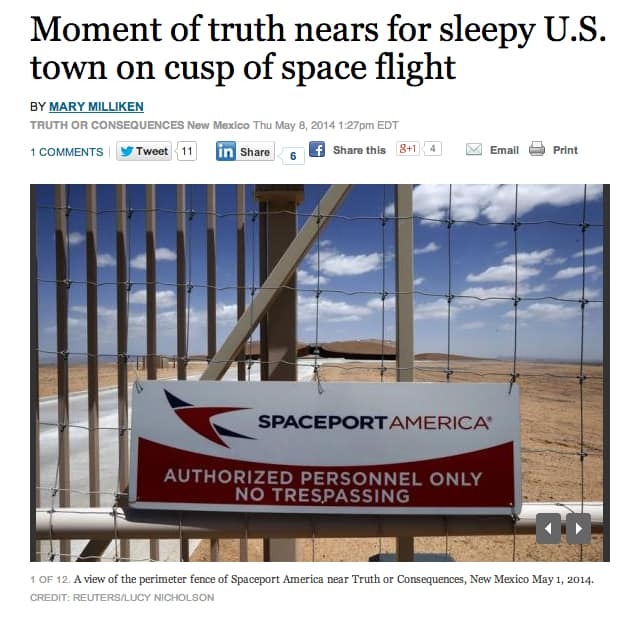 Journalists from Reuters came to Sierra County the first week in May to tour Spaceport America and take in Truth or Consequences Fiesta events. Last week the resulting stories were all over the news, illustrated with a fine set of photos by Lucy Nicholson. Pieces appeared in The Atlantic’s “cities” section and in their “In Focus” section, in the Chicago Tribune, and many more.